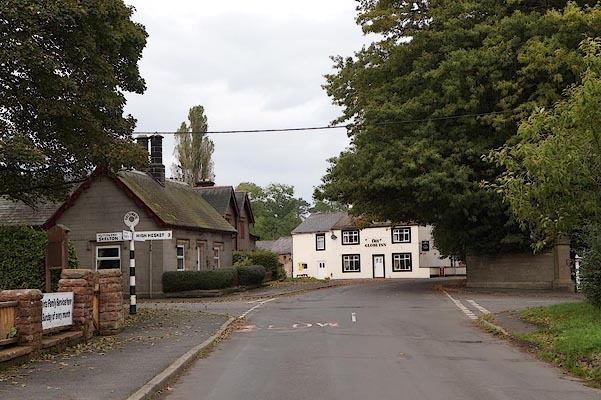 Situated within the historic Ingelwood Forest, Hesket Parish encompasses all or part of nine villages, stretching nine miles between Carlisle and Penrith, and over six miles at its widest point. 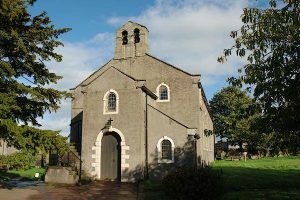 With five schools, six churches and three village halls, there are also over sixty Grade II listed structures in the Parish. Hesket Civil Parish lies within the boundaries of Inglewood Forest, established by William the Conqueror and extended by Henry II. The area's recorded history goes back to Roman times, with Voreda Fort at Plumpton, built along the road connecting the town of Brougham to Carlisle. Remains of the fort can still be seen outside the village. 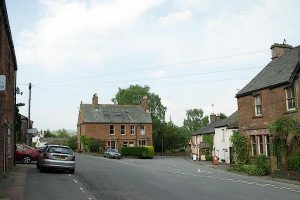 The Parish surrounds the A6 between Carlisle and Penrith. Originating from the Roman Road, the A6 went through improvements in the 1930's, including the bypassing of High Hesket village, and was expanded to a dual carriageway in the 1960's. The Parish's principal industry remains agriculture, with both cattle and sheep farming dominating the landscape. 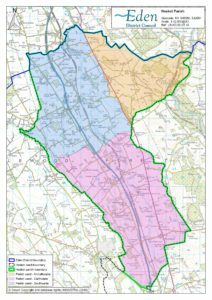 The various villages in the Parish support five local primary schools, six churches and three village halls, as well as five public houses, a garden centre and a Post Office. There are two regular bus services serving the Parish, as well as a train station in Armathwaite village. The name Aiketgate derives from the old norse 'eik' for oak, and 'gata' for road or path, although no notable oak tree remains in the settlement today. This small hamlet neighbours the village of Armathwaite. The origins of the name Armathwaite are uncertain. Thwaite is a common placename suffix, from Old Norse or Old Danish, meaning clearing or meadow. Some interpretations relate 'arma' to the Middle English 'ermite' for hermit, suggesting the area may once have been inhabited by a local hermit, whilst others suggest it is related to the original granting of land in the area to Ralf and Alice Hermetson in the late twelfth century. Armathwaite Primary School serves the local area, and Armathwaite train station connects the village with a short journey to Carlisle or a longer tour to Settle, Yorkshire, with regular steam trains running in the summer months. There is a local shop and Post Office in the village, as well as two Public Houses. 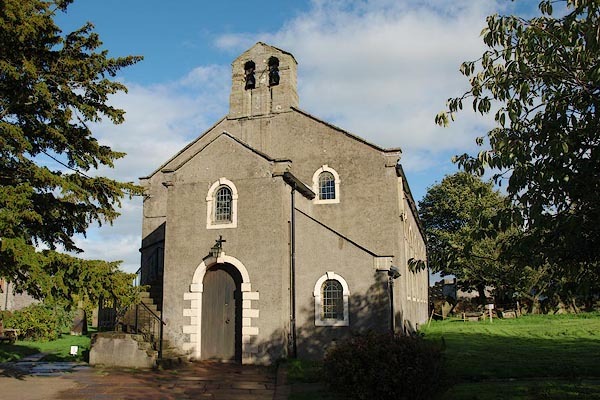 The beautifully restored grade II listed Church of Christ and St Marys holds regular services. 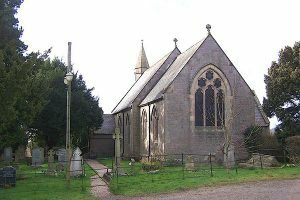 Neighbouring the church is the village hall, housed in the Old School Hall and run by local volunteers, hosting local meetings and events. The Parish Council also owns and maintains a Play Area in the village. 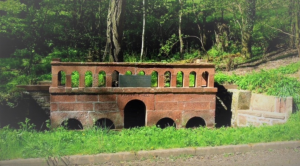 For more information on events and activities in the village please visit the village website at http://www.armathwaite.org.uk/. Taking its name from the Old Norse words for cow ('calth') and meadow ('thwaite'), the village is still well renowned for it Jersey herd today. Supporting a local primary school, as well as the 20th century All Saint's Church and a public house, the village also houses a play area, built and maintained by the local community. There is also a youth football club, Calthwaite Junior FC. Much of the land around the village is owned by the Brackenburgh estate, which was responsible for building of many of the houses in the village. The name Hesket derives from the Old Norse 'hestr' meaning horse, and 'skeid', whose meaning is a reference to either a road or race course. High Hesket houses a local primary school, serving the villages of both High and Low Hesket, as well as Southwaite and the surrounding area. 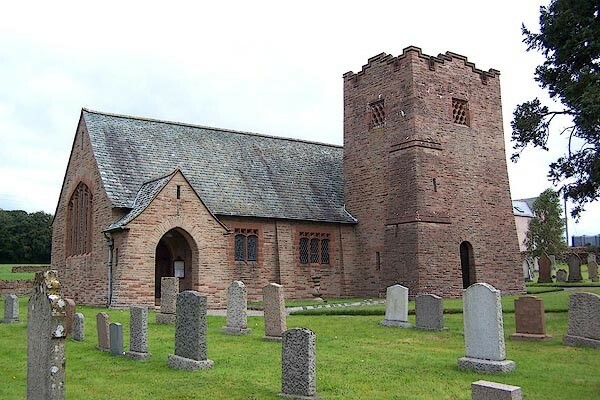 It is also home to the Grade II listed St Mary the Virgin's Church, which dates in part to medieval times. Situated just north of the village, along the A6, is the local doctors surgery. Court Thorn Surgery is named for the manorial Court Thorn, where feudal dues were traditionally paid to the lord of the manor. Stagecoach operate a regular bus service through the village, between Carlisle and Penrith. The village is named for the River Ive which runs through it, coupled with the Old Norse term 'gill', relating to water. 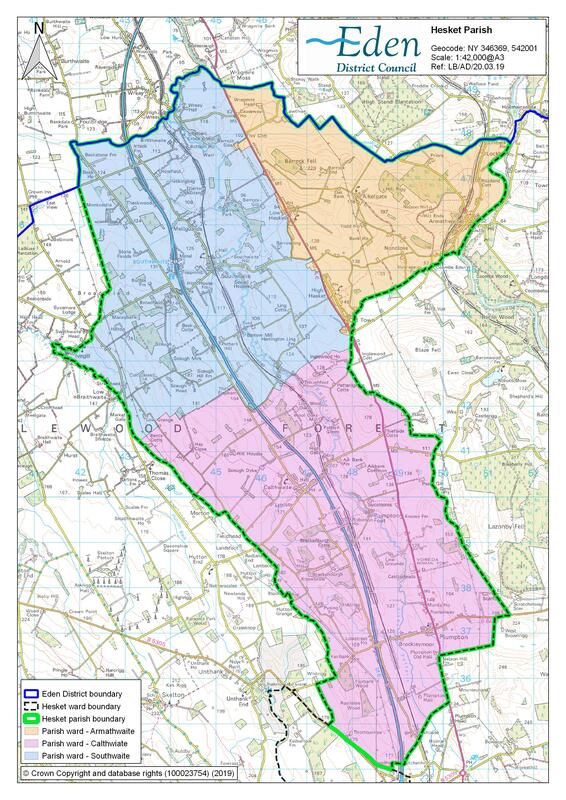 Only part of Ivegill village falls within Hesket Parish, the remainder being located in neighbouring Skelton Parish. The village is home to the nineteenth century Christ Church, as well as a local primary school. There is also a village hall. For more information, see Skelton Parish website here. Low Hesket lies directly on the A6 between Carlisle and Penrith. Like High Hesket, the name derives from the Old Norse 'hestr' for horse, and 'skeid' for racecourse or road. The Village houses a well-utilised Village Hall, hosting local meeting, clubs and events. The hall was built by villagers in the 1950's, and is still maintained by local residents today. For more information, please visit the Hall's Facebook page here. Taking its name from the humble plum, Plumpton Village is also known as Plumpton Wall. The A6, runs through the village along the route of a Roman Road, and just north at Castlesteads Farm, the remains of a Roman Fort, known as Voreda, can still be seen. The village houses a small primary school as well as the Grade II listed St John the Evangelist Church. There is also a café and garden centre at the edge of the village, and just outside, towards Calthwaite village, a restored Methodist Chapel, now known as the Cottage Wood Centre, serving as both a place of worship and a local community centre. 'Thwaite' derives from the Old Norse for field or clearing, however rather than being geographically derived, 'South' appears to be a related to namesake. Just north of the village, near the hamlet of Mellguards, lies the Grade II listed Katherine Well, built in memory of local woman Katherine Losh, sister of local philanthropist and architect Sarah Losh, much of whose work can be seen in the village of Wreay. The village itself lends its name to the nearby Southwaite Services on the M6. The name 'Wreay' derives from the Old Norse for nook or corner. Records for the settlement date back to 1319, and the village is particualry notable for 'The Twelve Men of Wreay' - a group of self-elected influential local men who once served as a parish council of sorts, and still exist today in a charitable capacity. It is also home to many buildings, including St Mary's Church, built and designed in the nineteenth century by local philanthropist and architect Sarah Losh. The outskirts of the village fall within Hesket Parish, with the main part lying in neighbouring St Cuthbert without Parish Council. For more information see St Cuthbert without's website here. Armathwaite Castle Dating from the 15th century, remodelled in the 18th and 19th centuries. Privately owned. Southwaite Hall, Copper House and barns adjoining House with evidence of continual renovations dating back to the 16th century. Private residence. Church of St Mary's, High Hesket Dating from the 18th century, incorporating elements of medieval church. In the Diocese of Carlisle. * Sedgefield, W.J., “The place names of Cumberland and Westmorland“, Manchester University Press, 1915. * Cumbria Federations of Women’s Institutes. “The Cumbria Village Book“, Countryside Book, 1991. * Smith, Kenneth, “Cumbrian Villages“, Robert Hale & Company, 1973.